Ahhh… wedding season. The beautiful bouquets. The heartfelt vows. The unsolicited advice from overbearing mothers. Getting hitched these days involves a lot of moving parts—and event marketers are taking note. While couples are busy planning their big day, savvy brands are sneaking their way into one of life’s greatest milestones. 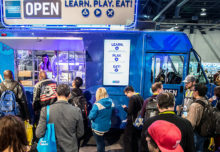 Following are three brands doing it right, and a look at how they’re keeping consumers, well, engaged. Fast food and marriage don’t typically go hand in hand, but Taco Bell is once again thinking outside the bun. 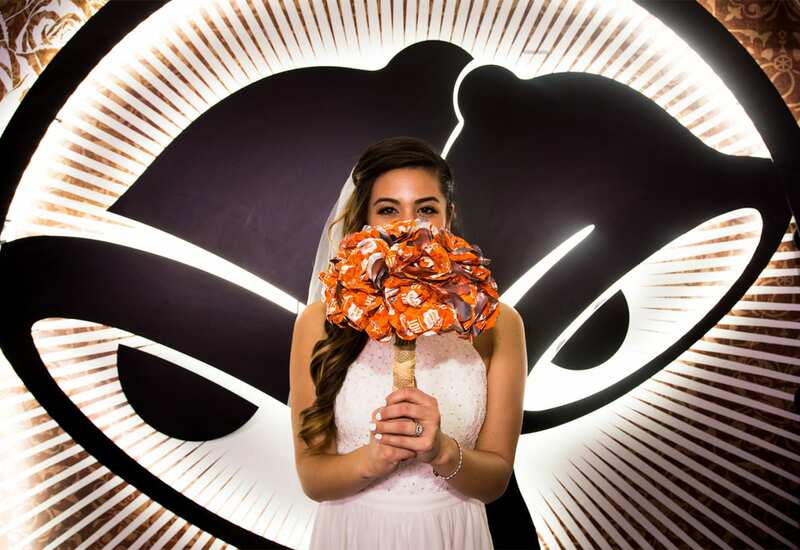 Couples hoping to hear Taco Wedding Bells as they say “I do” are getting their chance, thanks to a second-floor chapel located at the brand’s flagship restaurant in Las Vegas. Those interested in taking the plunge simply need a marriage license and $600 for the wedding package, which includes an ordained officiant, private reception area for up to 15 people, custom merchandise including branded champagne flutes and “Just Married” t-shirts, and a garter and bow tie made from sauce packets. The best part? Marriages are made to order. Couples can walk up to the restaurant counter and order a wedding right off the menu. Marriage may be about celebrating the union of two people, but dating app Hinge is helping future brides and grooms get closer to the altar by targeting singles at weddings. Leveraging a “wedding crasher” strategy, the brand, ahem, unveiled a Snapchat campaign involving custom geofilters specifically built for those sitting at the “singles tables” at 25 weddings across the country. The filters featured a small blue table in the lower left hand corner, accompanied by the phrase “Where’s my date, Hinge?” According to the brand, 1,500 people viewed the geofilters, with around 10 percent utilizing it for their own photos. The company also saw a boost in total app downloads. For most brides, the wedding is all about the dress, an insight Quilted Northern is leveraging to target brides-to-be. It all started 13 years ago with Cheap Chic Weddings’ inaugural Toilet Paper Wedding Dress Contest. The annual competition, sponsored by Quilted Northern for the first time this year, limits dress materials to Quilted Northern bath tissue, along with fastening supplies like tape and glue. Altogether, more than 1,500 people entered this year’s competition, using a collective 250 rolls of toilet paper to fashion their gowns. The brand ultimately said yes to the dress designed by Kari Curletto of Las Vegas, who walked away with a $10,000 prize and hard-earned bragging rights.